Hey There Kitty Readers! HAPPY NEW YEAR! It’s funny, but I really do miss my time in-world when I’m not able to log-in so it was with mucho Kitty Gusto that I burst into Second Life earlier with a pressing need to go shopping. I knew exactly where I wanted to go too; FAMESHED and KUSTOM 9. Let’s start with Kustom 9. I don’t really know much about this event at all but meandered over in an excited manner to check out the goodies on sale and the Gachas that are available to play. I’ve seen a number of lovely items on various blogs from this event, most noticeably the glorious AMITOMO coat combo that Heidi Volare recently blogged, but my Lindens are somewhat limited so alas, I couldn’t splash the cash around as much as I would like. 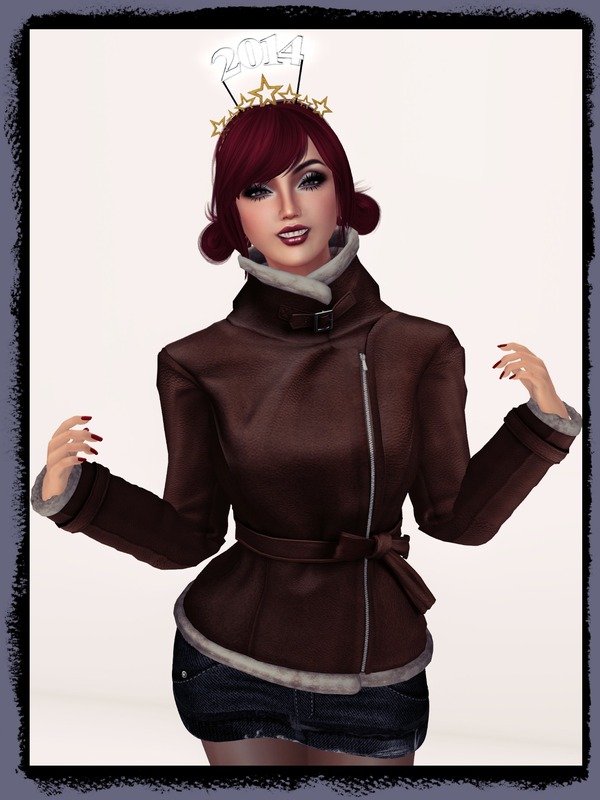 (In Second Life, just like real life, I am a skint Kitty, but then again who isn’t in January?) But I have been very poorly so therefore deserved a treat, obviously. And what a glorious treat I found! Feast your eyes on the splendidness of this epic jacket that I found at Kustom 9. It’s from MARSHMALLOWS, a brand that I am familiar with but I’m now even more keen to learn more about. This jacket is called ‘Lisa’, so I had to have it really. *blushes* (Kitty insider tip: that will be because that’s my real name..shush!) It’s a fabulous leather jacket that is reminiscent of the classic Aviator style, but with a modern twist. Instead of a bulging sheepskin collar this piece features a more refined edge to the collar, cuffs and bottom, and rather than being festooned with buckles it has one simple buckle at the collar teamed with a zip to the front. There’s a feminine twist courtesy of a built-in bow belt (try to say that after a few too many cheeky Vimtos! ), and the dramatic, bold and super-stylised shape of the shoulders make for a shapely silhouette. I knew as soon as I saw this that I HAD TO HAVE IT. It’s not just the shape that appealed to me about this jacket either, the leather texture is one of the best I’ve seen yet in Second Life, and it’s been applied beautifully. The lighting and shading and creasing all look spot on too; zooming in for a close-up look is very satisfying indeed. The jacket is chunky and ‘feels’ substantial, and detail such as belt-loops and even the tortoiseshell buttons on the cuff-straps look excellent. Nothing has been neglected. To top it all off it fits like a dream; I opted for the medium jacket and have had no issues with it suiting my shape. I opted to team this with a skirt available at the event from the same designer. I’m a sucker for a short, denim skirt and MARSHMALLOWS has three at the event in blue and dark-blue denim, as well as black. I opted for the darker shade and again, this is a great piece of mesh. There are no added studs or stitching elements here, instead texture is used to suggest those elements and on the whole it works really well. The bum-pockets stick out to add a 3D feel, and the skirt looks authentic. It will wear really well with tees and other mesh items in my inventory, I’ve no doubt about that. The skirt when worn with the medium jacket presented me with no fitting issues, which is a blessing when wearing multiple mesh pieces, and I couldn’t be happier with my outfit. Congratulations to RoMy Dash on her sensational work, and I’m looking forward to more of the same in 2014! 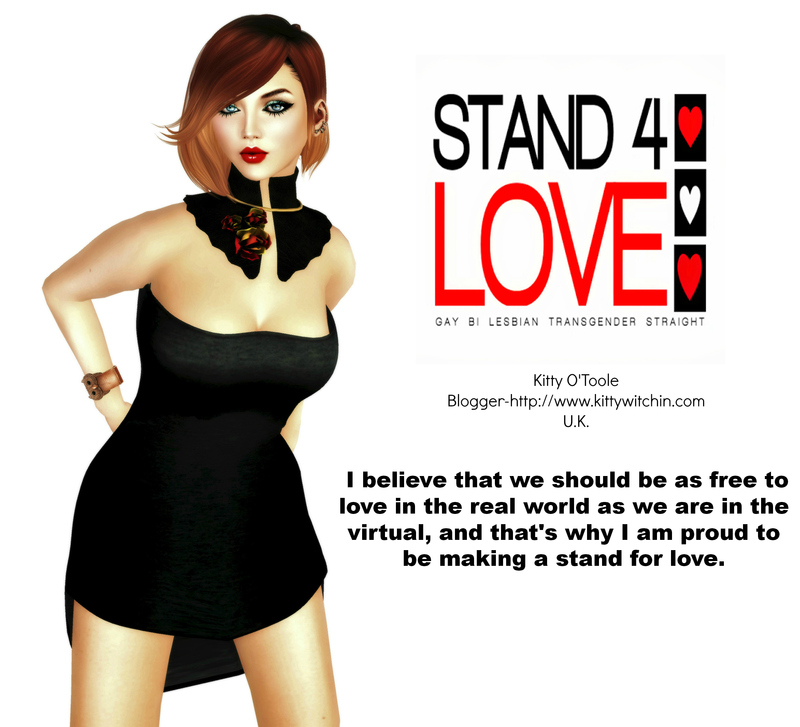 Second Life pricing can be a minefield and it must be difficult to know what to charge, especially after you have spent hours working on a piece and shed blood, sweat and tears whilst crafting your creation. I expected to pay at least L$350 for the jacket alone , and believe me it is worth it, so I almost died when I realised I could buy this beauty for L$199! Even better, the skirt is a measly L$99 too, so that means that if you’re a Second Life premium subscriber when you receive your L$300 stipend on Tuesday you can go and get this entire outfit and still have change! OOF! Click HERE to TP to Marshmallows at Kustom 9. Happy shopping!